Passionate and sensuous to the limit of synesthesia, these poems address both the mind and body of the reader. A verbal magician, a show-stopping performer, the author educates, stimulates, and moves us through her realization and empowerment of images. Her love of family, familiarity with death, sexualization of everyday life, politics of liberation-these themes are transformed before our eyes into kindling and fed to a flame of such intensity as is rarely to be found in contemporary poetry. Sasha Pimentel Chacón was born in Manila. 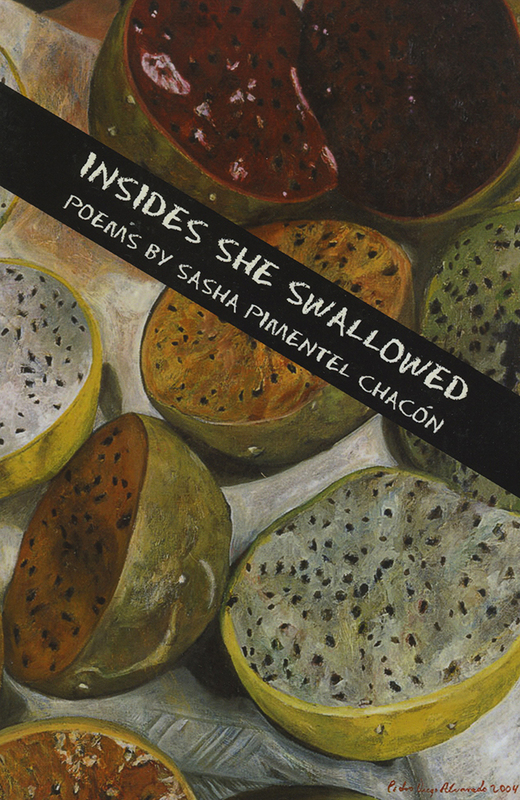 She teaches literature and composition in El Paso, Texas, with her husband, Chicano writer Daniel Chacón. She is a recipient of the Philip Levine Fellowship in Poetry and an Academy of American Poets Prize. Her poems have appeared in the American Poetry Review, Callaloo, Colorado Review, and The Dos Passos Review among others. Her poetry chapbook, Blood Sister, was published in 2006. She was a featured reader at the San Francisco Poetry Fest in the summer of 2009. Sasha Pimentel Chacín was born in Manila. She teaches literature and composition in El Paso, Texas, with her husband, Chicano writer Daniel Chacín. She is a recipient of the Philip Levine Fellowship in Poetry and an Academy of American Poets Prize. Her poems have appeared in the American Poetry Review, Callaloo, Colorado Review, and The Dos Passos Review among others. Her poetry chapbook, Blood Sister, was published in 2006. She was a featured reader at the San Francisco Poetry Fest in the summer of 2009.